We are living in the most dramatic era of road expansion in human history, but many planned roads should not be built, concludes a major study by James Cook University researchers. The researchers say many new roads being built or planned today are in high-rainfall tropical and subtropical areas, usually in developing nations. 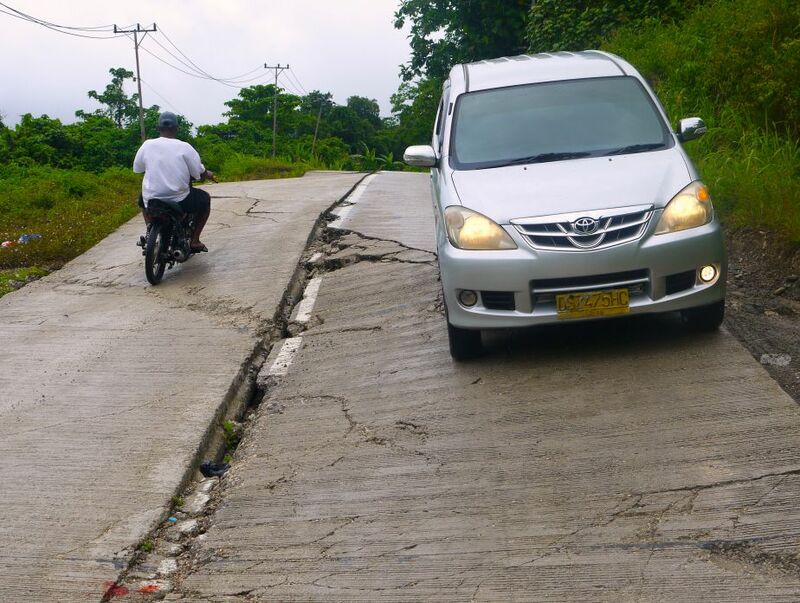 “In these high-rainfall regions, even expensive roads can be rapidly rendered useless by numerous pot-holes, road slumping, and landslides,” said lead author Dr Mohammed Alamgir. “Unless there’s expensive ongoing maintenance, big road projects can easily become giant money-losers for developing nations,” said Dr Alamgir. “And often contractors build substandard roads—for example, using too little cement or road base—and then pocket the stolen proceeds, leaving the roads even more vulnerable to rapid collapse,” said Laurance. The study, published in Current Biology, examined the costs and benefits of tropical roads from economic, social and environmental perspectives. Most developing nations have ambitious plans for road expansion, often designed to promote economic growth. For example, in just three years, the total length of paved roads will double in Asia’s developing nations, according to the Asian Development Bank. “One can’t avoid the conclusion that many ambitious schemes for road expansion are veering dangerously off-track,” said Dr Alamgir. Mohammed Alamgir, Mason Campbell, Sean Sloan, Miriam Goosem, Gopalasamy Reuben Clements, Mahmoud Mahmoud, and William F. Laurance. 2017. Economic, socio-political and environmental risks of road development in the tropics. Current Biology, DOI: 10.1016/j.cub.2017.08.067. Road2: Road-killed Malayan tapir in northern Peninsular Malaysia (photo © WWF-Malaysia).